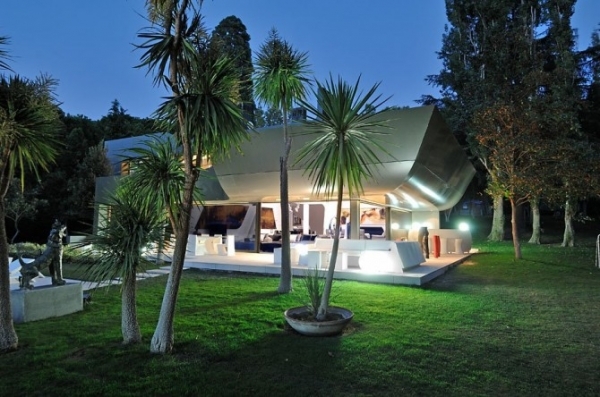 Set in a beautiful green yard with a large blue swimming pool, this striking house attracts the attention with futuristic architecture and ultra modern interior design. 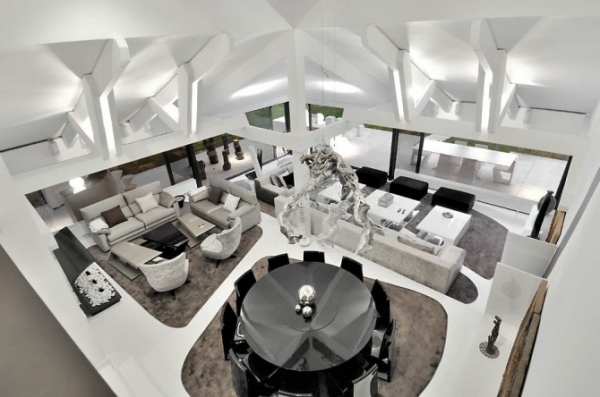 The entire house is featured by white, grey, black and silver colors and regular shapes. 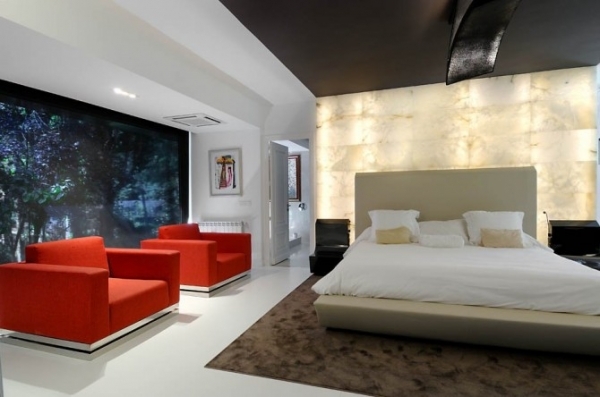 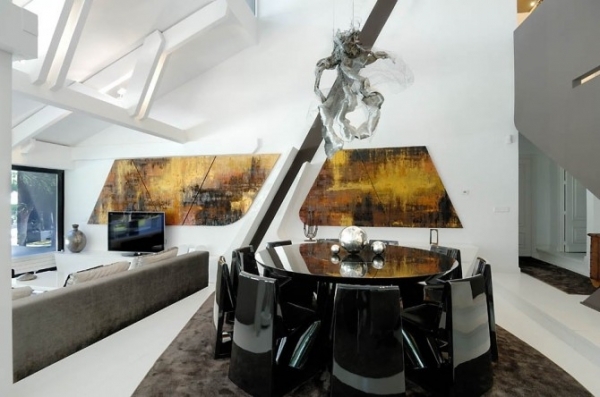 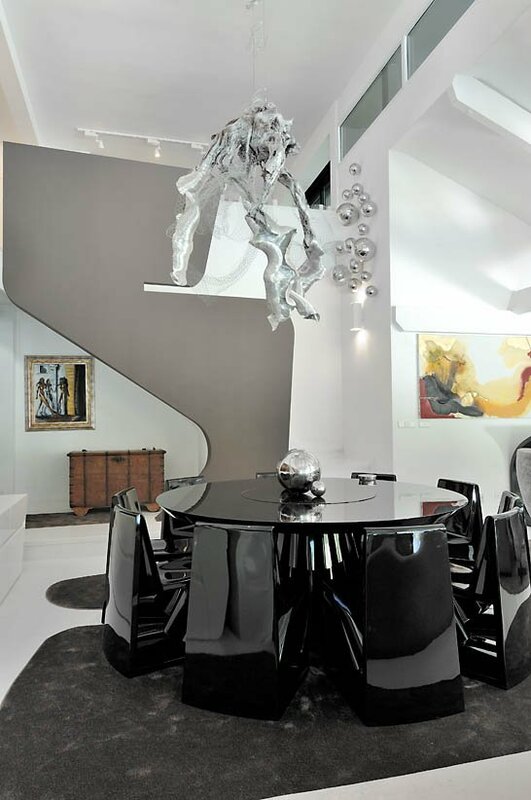 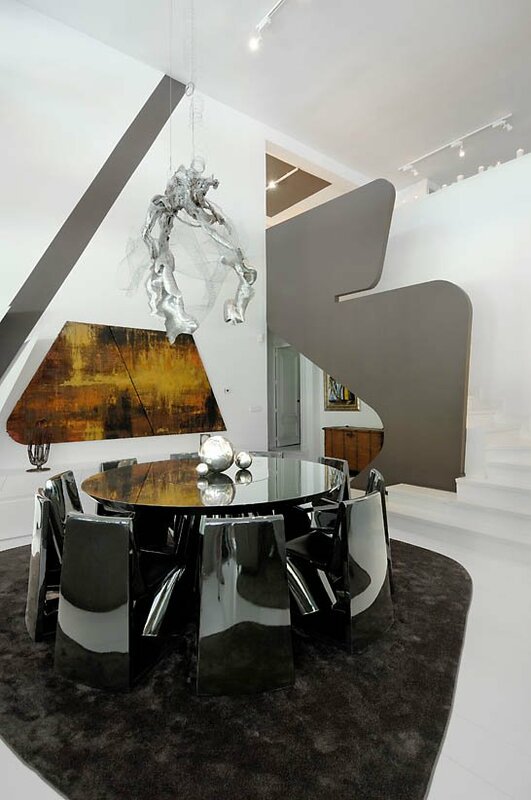 Shiny surfaces and contemporary furniture pieces define the interior. 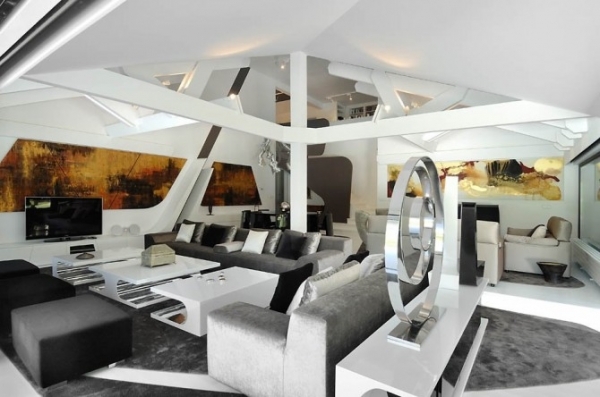 On the ground floor we find an open plan living area accommodating a dining corner and two separate living room areas and a kitchen. 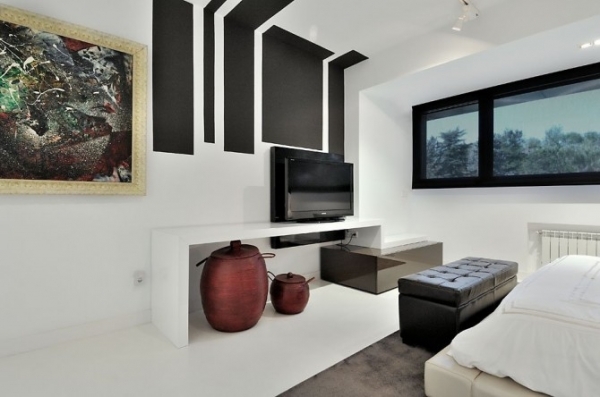 On the upper floor are hosted three bedrooms, one master bedroom, a kid’s bedroom and a guest bedroom. 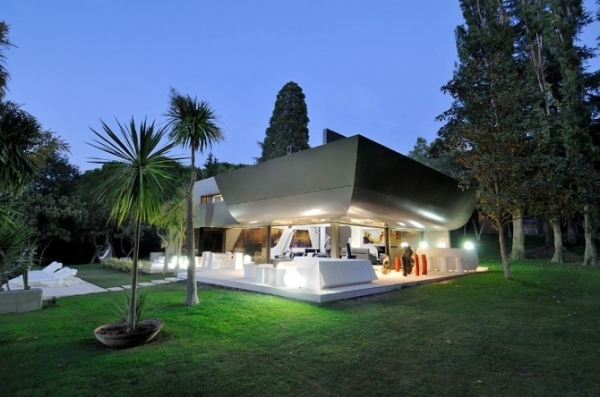 This contemporary house design will surely make your neighbors jealous.